This is the roadster with an even sportier edge. And some. With a supersports spec, power and torque, it has an unmistakable attitude that tells you it’s ready for anything. 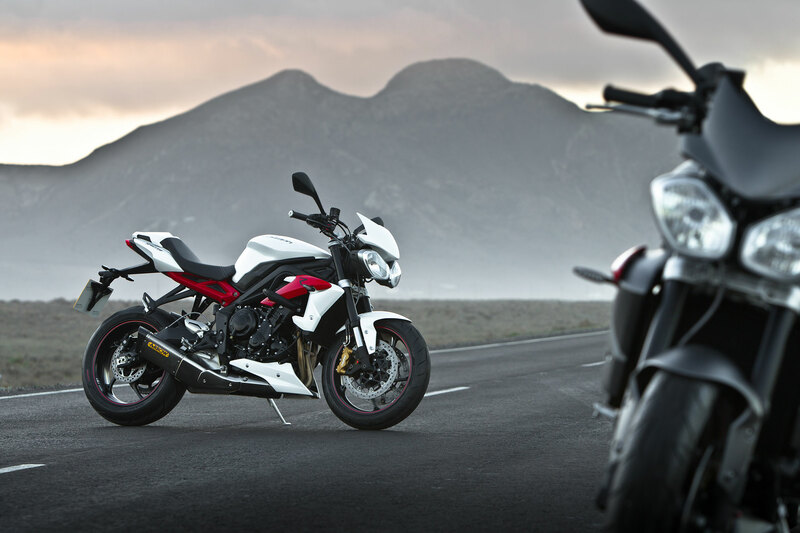 A global hit since its introduction, the Street Triple fuses the style and attitude of the iconic Speed Triple with the performance and agility of the class leading Daytona 675 supersports machine. The torque and sound of the liquid cooled 12 valve triple, combined with a close ratio six speed gearbox produces an exciting, exhilarating ride that has made the Street Triple a hit with riders around the world and our best selling model since its launch. 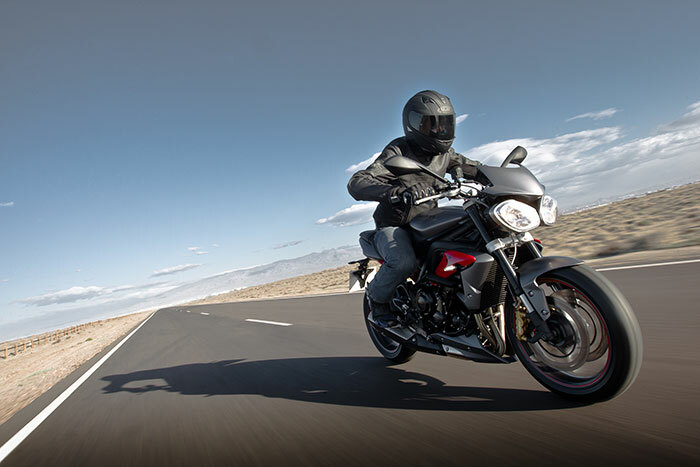 Highly regarded for its light and intuitive handling, the 2013 Street Triple R takes things to a whole new level. Its 41mm inverted front forks are fully adjustable for preload, rebound and compression damping to give the expert rider freedom to set the motorcycle up for their specific needs. The rear monoshock is an equally high-quality item, adjustable for preload and rebound damping. Switchable state-of-the-art Anti-Lock Brakes are standard, allowing the rider to easily select the preferred method to deploy the twin 310mm floating front discs and powerful four-piston Nissin radial calipers. Altogether the package offers a setup that can be configured to suit track or road riding, while at the same time providing the security of incredible stopping power. A revised geometry of 23.4º / 95.0mm completes the picture. Visually, the R model adds a red rear subframe, red pinstripe to the wheels and a red-detailed radiator shroud featuring a dominant R logo. 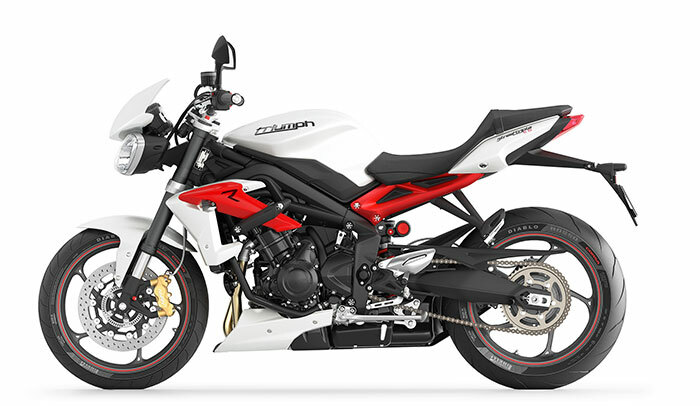 Three color options are available for the new Street Triple R in 2013: Phantom Black, Crystal White and Matte Graphite. Front Brakes: Twin 310mm floating discs, Nissin 2-piston sliding calipers. – All new chassis further improves razor-sharp handling, agility and precision. 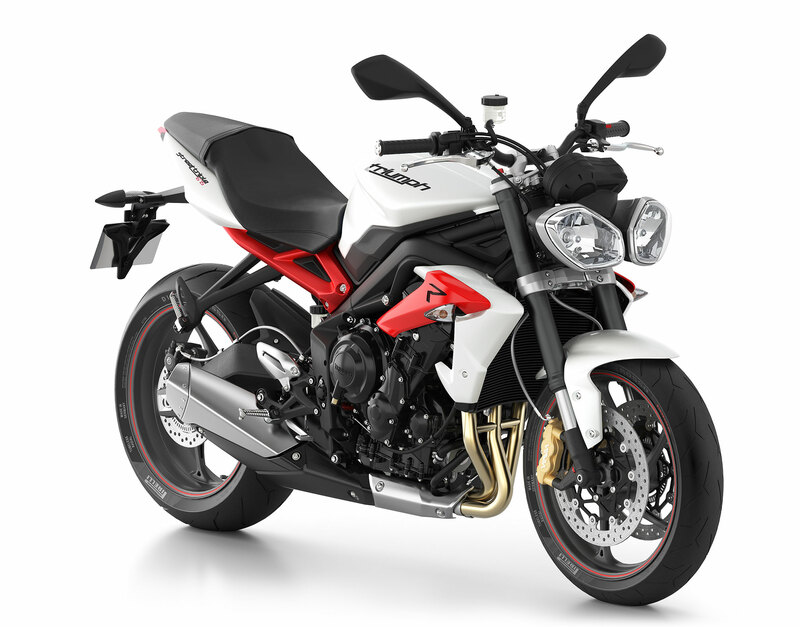 The throbbing heart of the Triumph Street Triple and Street Triple R is the 675cc liquid-cooled triple with engine immobiliser as standard for added security. 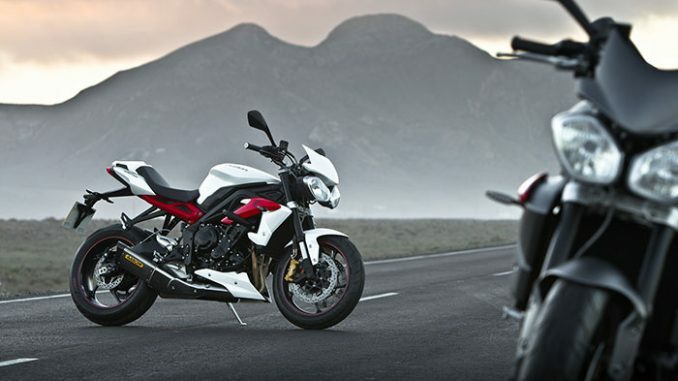 Revving to 12,650rpm, the engine delivers excellent performance and the unmistakable unique sound of a Triumph triple. Combining the benefits of low down torque and high rev performance, the triple engine truly defines its athletic spirit. Defining the new Street Triple and Street Triple R’s new look is the all-new frame. Incorporating a high-pressure, die-cast rear subframe for increased rigidity. Not only is the chassis robust and hard-edged, it’s also advanced. 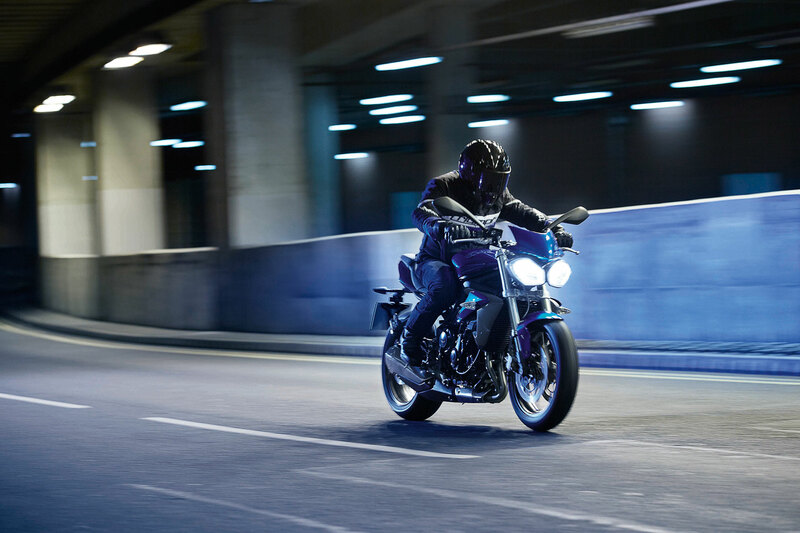 Designed to optimise dynamism, agility and rider enjoyment, the lightweight design and lower centre of gravity gives you the stability and confidence for an incredible riding experience. And with the addition of adjustable front forks, an RSU with both pre-load and damping adjustment and Nissin radial 4-piston brakes, the Street Triple R has even more of an edge. 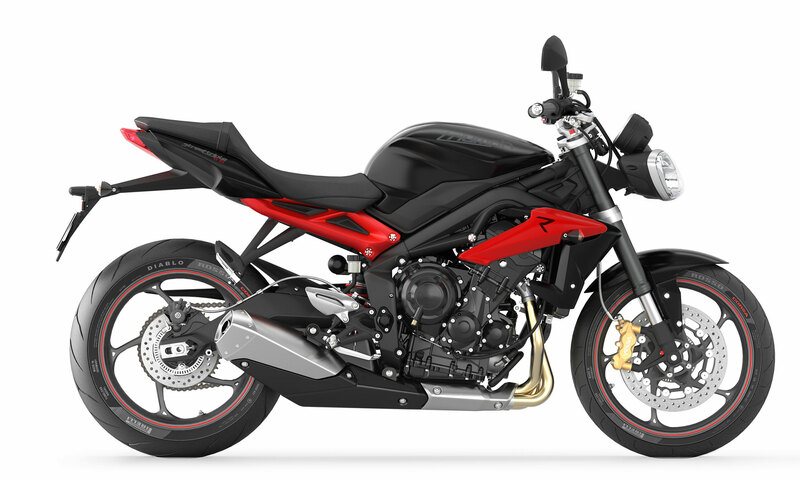 Street Triple and Street Triple R feature a low-mounted, stainless steel 3 into 1 exhaust system with a low, single-sided silencer. This new design reduces the centre of gravity for an exceptionally agile and exhilarating riding experience. Brake with confidence and you can cope with the unexpected. Standard on the Street Triple and Street Triple R are state-of-the-art Anti-Lock Brakes that can cope with even the hardest braking. 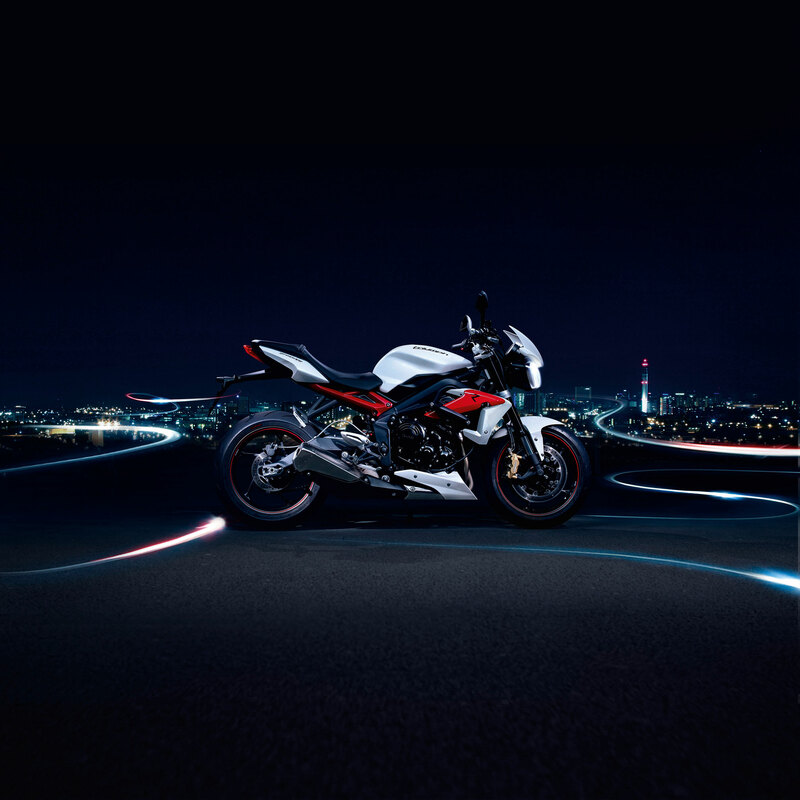 And because the ABS system is switchable, it can be easily deactivated whenever necessary via the instrument panel – it will then automatically re-activate when the bike is re-started. 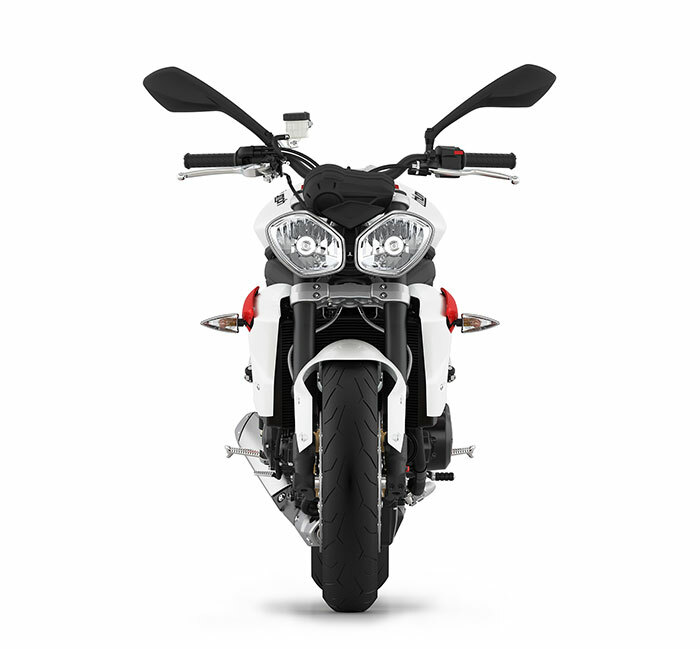 With hard-edged street looks, exposed engine, unmistakable twin headlamps and low-mounted silencer this is a pure riders bike. A striking new wheel design reduces un-sprung mass which improves dynamics and agility. 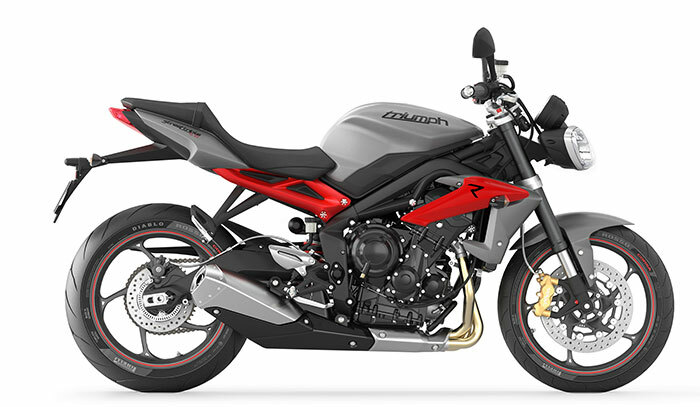 And for an even sportier edge, the Street Triple R comes with a red rear sub frame, red side radiator cowls, and red pinstripe detailed wheels.